Black EPDM, crush resistant durability, high temperature tough applications. Use for long-lasting steam service where hot/cold wet/dry cycling attachs rubber compounds externally and internally. 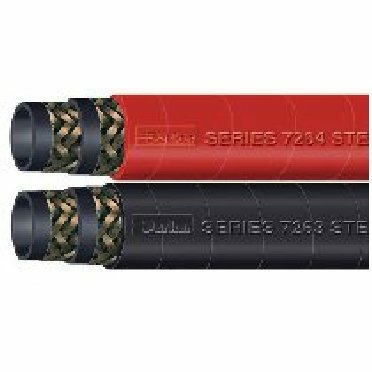 Construction resists heat and pop-corning with a wire braid reinforcement. Cover is resistant to abrasion, cracking and hardening.